Depends underwear provides customers with a great option to managing incontinence. One of the trends in adult incontinence production is the middle ground between a light incontinence problem and a heavy incontinence problem. Depends has realized that it can serve its customers better by providing more options for those who suffer from medium incontinence. This article will explore the products that are known as protective underwear. The article will also examine how Depends is overhauling its strategy to help more people who suffer with a medium incontinence problem. Due to the record number of people making it to late life, Depends is trying to better serve its customers who suffer from medium incontinence. Light incontinence is condition where a person only suffers from light bladder leakage. Pads typically help fend off this type of incontinence. Pads, also available from Depends, typically go in your underwear and do not show through loose or tight clothes. Both women and men who suffer from light incontinence favor pads. This type of incontinence does not hinder one’s ability to participate in daily activities. Sometimes, a person who suffers from light incontinence will wear diapers to bed just in case they suffer from an accident. Typically, people who suffer from light incontinence don’t want to wear diapers, but often, a diaper is the only product that has been traditionally available to them. This bulky and awkward product is overkill for their light incontinence needs. Heavy incontinence is on the other end of the incontinence spectrum. Heavy incontinence results from a medical condition that impedes a person's fine motor skills. Typically, a person who suffers from a stroke or similar ailment will have to wear products specifically designed for heavy incontinence, such as a diaper or a pull up. Often, a person who is bedridden or wheelchair bound will be forced to wear these products. 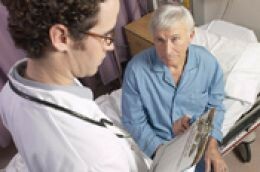 Heavy incontinence usually requires a caretaker. Most often, a certified nursing assistant will change a person’s diaper in a nursing home or other assisted living situation. Very rarely do people with heavy incontinence live without the help of a nurse maid or the help of a good nursing home. Clearly, it is very important to offer a viable product to people who are not on either ends of the incontinence spectrum. There are people in the middle who have incontinence needs, too. Depends has recently revamped its marketing approach and supply strategies so that more people have access to protective underwear. There are many different situations where Depends underwear can help a person who deals with medium incontinence. These people may want to be partially active in their everyday life without having to worry about the embarrassment of an accident. Depends underwear are suitable for a person who wants to partake in physical activities. Some people work out wearing Depends underwear and report very good results. There are many waterproof underwear options that are also available and help a person who swims or uses water therapy to recover from a condition. Depends underwear are available for those who might need a bit more protection, a type of protection that a pad alone cannot provide. Depends has provided diapers and other products to the incontinence market for years. They have had underwear, but have not always marketed them in an active manner. In recent years, Depends has come to realize that its underwear can provide customers with some of the best options in the fight against incontinence. In fact, Depends protective underwear can be used in combination with other products. Depends works with its clients to make sure that it is placing the best possible underwear designs and technologies on the market. The absorbent liner that makes Depends such a strong product is available in its line of protective underwear.